The quest for the perfect steel is never ending. Just as one steel is praised as the perfect steel, another one comes along to claim the title. There is no perfect steel. Some of the super steels these days like S110V and M390 are at the top of the line for edge retention but can be very difficult to sharpen without the right tools. Beater steels like 420HC and 440A dull pretty quickly but can be brought back to razor sharp without effort. The steel was developed by Chris Reeve and Crucible Industries and contains a 1.45% carbon, 14% chromium, 4% vanadium, and 2% molybdenum. The alloy composition creates an even distribution of vanadium carbides that improve sharpness and edge retention. S30V has become pervasive in the knife community, though it does vary depending on who does the heat treatment. If you’re interested in getting a knife with S30V steel, here are 15 of the best knives with S30V steel blades, including a few currently in stock at Knife Depot. We’ll start off with the legend. 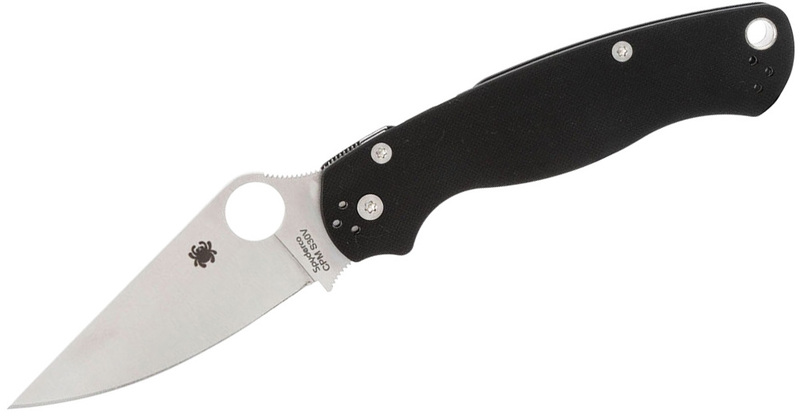 The Spyderco Paramilitary 2 is widely billed as one of the best all-around EDC knives ever made and part of what made it so great is the S30V steel. These days, the PM2 can also be found in S110V or in many other steels during special runs (CTS-XHP, M390, M4 Cru-Wear). The knife itself is a bit on the larger side with a nearly 3.5-inch leaf-shaped blade and grippy G-10 handle scales. The knife uses Spyderco’s popular Compression Lock and all the pieces seem to fit together just seamlessly. If you don’t have one in your collection, get one now. Gerber? Oh, yes. Gerber actually has a few knives in S30V steel, but the first we’re highlighting is one of the best American-made folders the company has to offer: the Gerber 06 Manual Combat. The knife comes in a number of iterations, but the one here is the manual folder with serrations. The original was an automatic, but this one brings the great knife to the masses. This knife is like a tank. Its hefty 3.625-inch blade is complemented by the hard anodized aluminum handle that fills out the hand nicely. Its overall design and plunge lock mechanism make it easy to use even when wearing gloves. And, of course, the S30V steel makes the whole package even better. Kershaw has never been big on ultra premium steels. The company typically uses its proprietary Sandvik 14C28N steel that has a lot of great traits. Occasionally, Kershaw will run knives in special steels like the old Kershaw Avalanche in S60V, but one that really seems to have stuck is the Kershaw Blur in S30V. The Blur is another one of those knives that’s widely hailed as an ultimate EDC knife and shows Ken Onion at his best. The handle is aluminum with Trac-Tec inlays, but the highlight is the blade. Made from S30V steel, the 3.375-inch blade springs to life using the SpeedSafe opening mechanism and stays in place with a liner lock. The knife has nothing but five stars on Knife Depot at the moment. 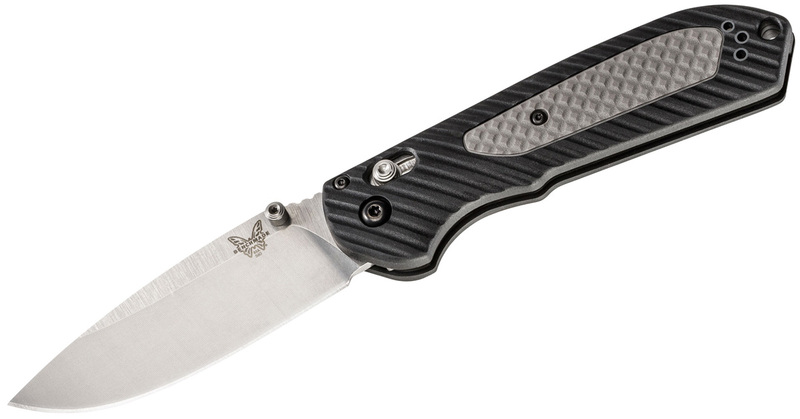 Benchmade is no stranger to S30V steel, as you’ll soon see later in the post. Not long ago, Benchmade unleashed the Hunt Series into the world, which is a collection of knives designed for hunters and outdoorsmen. The knives all come with S30V steel blades thanks to its durability and fine corrosion resistance. 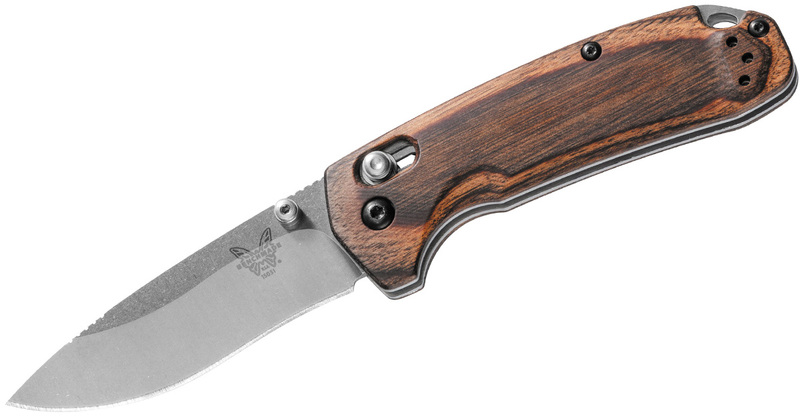 The North Fork is one of the best of the series in my opinion with its sub-3-inch blade and handsome dymondwood handles. It makes an excellent all-around EDC knife. With Buck’s declaration that S30V is the best steel around, it’s no surprise that it makes a solid S30V folder in the Buck Vantage Pro. The Vantage Pro comes in two sizes: large and small. The large has a 3.25-inch blade while the small has a 2.625-inch blade that is a great size for EDC. Both have injection molded nylon with contoured G-10 handles in black. The flipper mechanism works great but there’s also an oval thumb notch for good measure. There’s also the Vantage Force Pro that injects a tactical aura into the design. S30V isn’t a common steel for Kershaw’s sister brand Zero Tolerance, but one of its most hailed knives uses the steel. The ZT 0350 is a certified beast. This knife is more akin to a tank than a sports car. 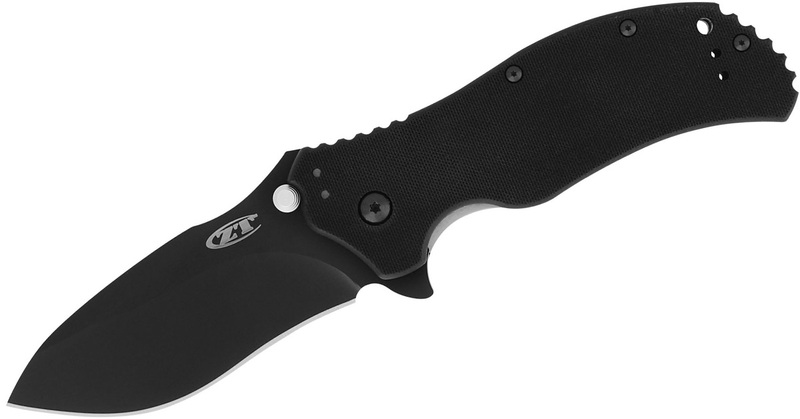 It has a small(er than other ZT models) blade at 3.25 inches and an overall length of 7.6 inches. The blade is still very beefy and coated with non-reflective black Tungsten DLC coating that provides extra hardness to the steel. The 0350 uses SpeedSafe assisted opening and locks via a liner lock. The black handle is textured G-10. Needless to say, this is one hard-working EDC. Gerber makes a second appearance on the list with the Decree. This knife is one of the more cost-effective S30V steel options with a solid design and a Made-in-America construction. It has a 3.7-inch modified tanto blade profile with partial serrations and a flipper mechanism. The handle is rubber over-molded glass-filled nylon that provides a reliable grip. 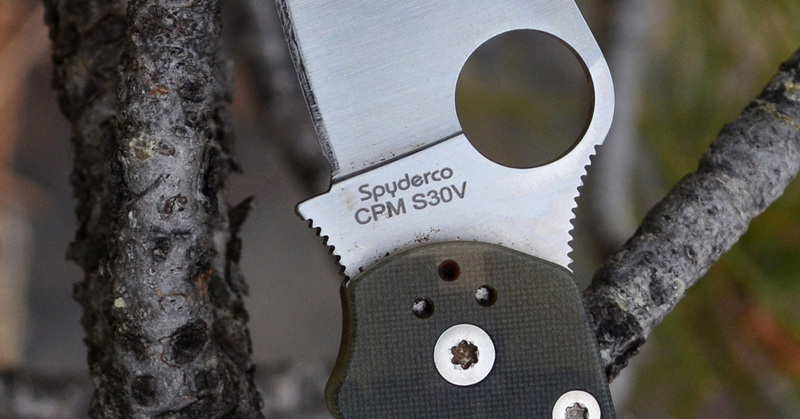 I’ve heard some complaints about the pocket clip, which is something to be wary about, but if you want to try an S30V steel knife, this one where some people start. 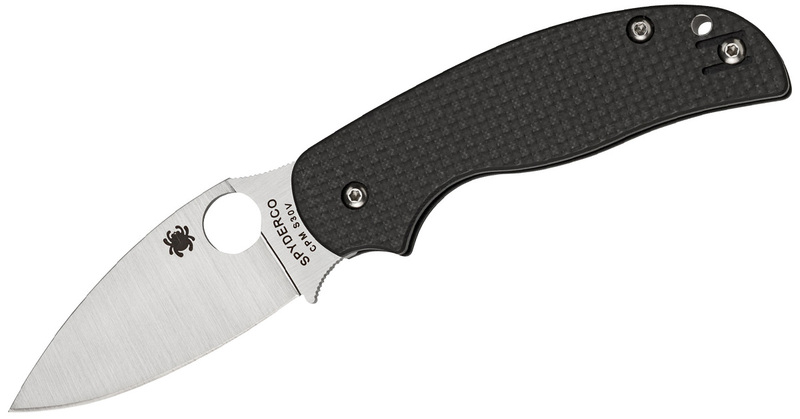 The Spyderco Sage 5 is the culmination of years of feedback and experimentation. The leaf-shaped blade is perfectly designed with well-treated S30V steel that gets razor sharp. The blade length is a little over 3 inches, which is a great size for an EDC in my opinion. The G-10 laminate/carbon fiber handle scales are a real treat on this knife because they not only reduce the weight to 3.2 ounces but they look and feel great. I know it might seem I say this about a lot of pocket knives, but the Benchmade 940 is the quintessential EDC. 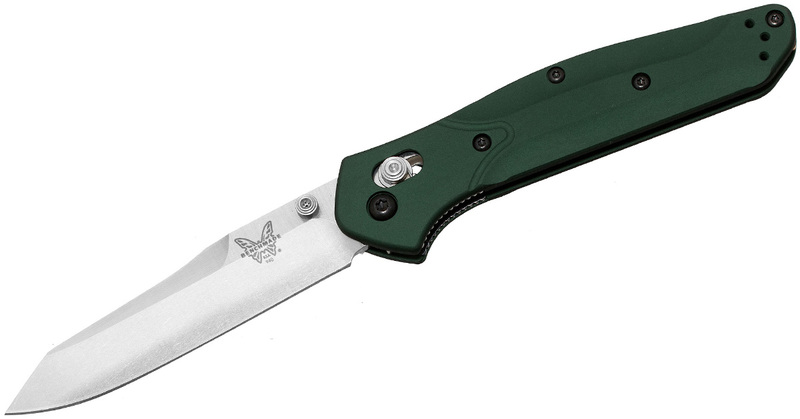 I’m a huge fan of the design and often call the 940-1 one of the best knives ever, but the original version with S30V steel and green aluminum handles is just as good. Designed by the late great Warren Osborne, the blade features an interesting modified reverse tanto blade profile that excels at everyday tasks. The AXIS lock matches the personality of the knife perfectly while the aluminum handles are contoured in all the right places. Along with purple anodized spacer, ambidextrous thumb studs, and a fully adjustable pivot screw, the 940 is nearly perfect. 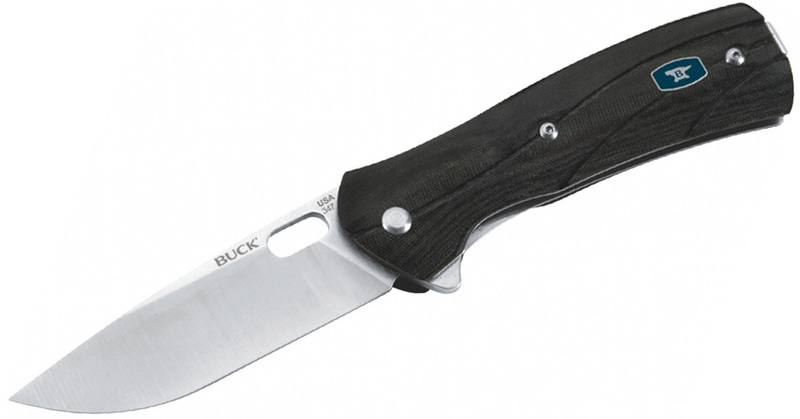 Even though Buck is probably best known for its classic knives like the iconic 110 Folding Hunter, its modern offerings feature more updated designs with higher quality material. 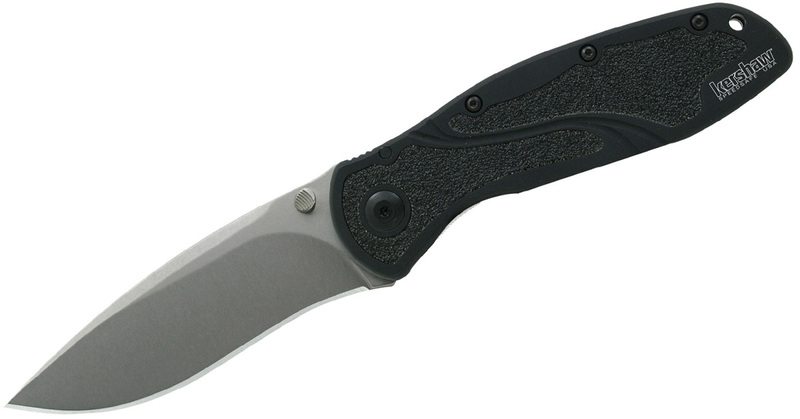 Like the Vantage Pro, the Buck Momentum is another American-made Buck with an S30V steel blade a flipper. 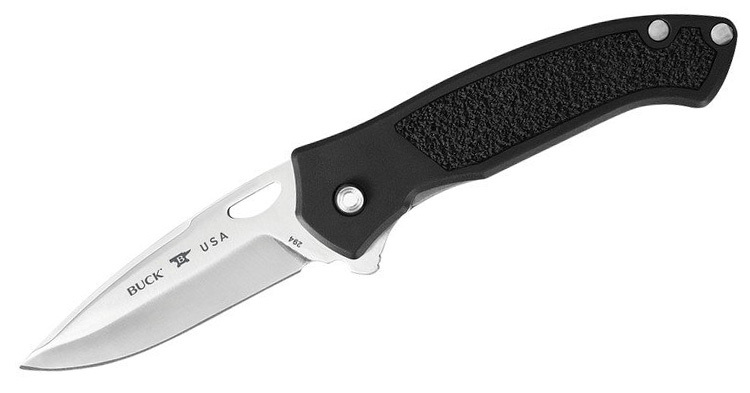 The Momentum has a 3.125-inch blade and uses Buck’s ASAP assisted-opening technology. The aluminum handle has a nice deep carry pocket clip for more discreet carry. 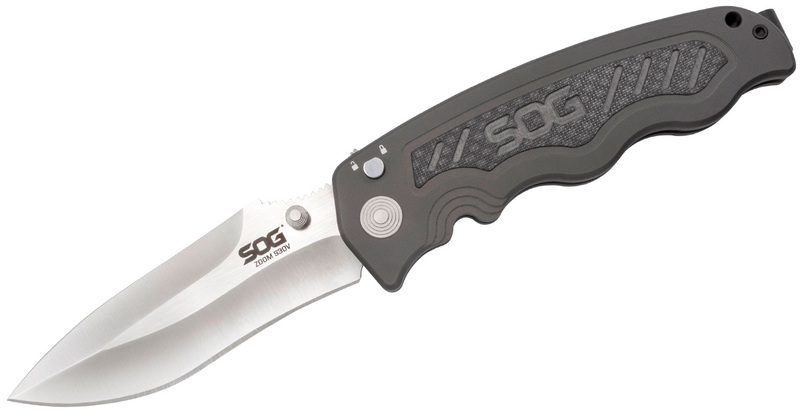 This is the first and only SOG knife to make the list. SOG doesn’t use S30V, except on its line of hunting knives called Huntspoint and the SOG Zoom S30V. The Zoom is a nice compact folder series with an interesting curved drop point blade profile. 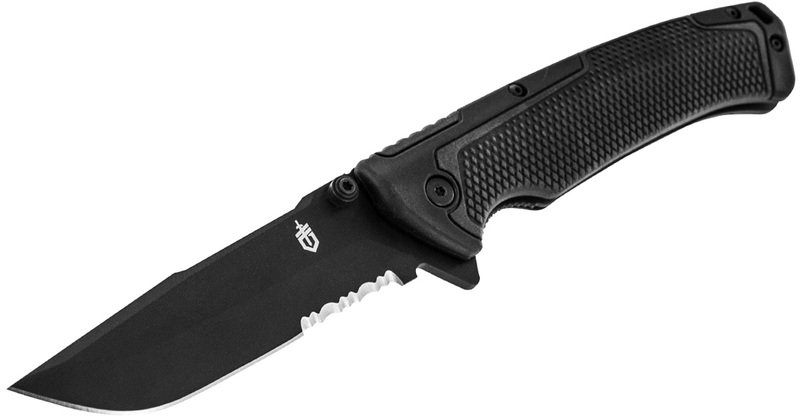 This version of the knife has a 3.6-inch blade that uses the SOG Assisted Technology opening mechanism. The contoured handle is made from aluminum with carbon fiber inserts. A button lock and a deep carry pocket clip are added bonuses. Boker is another company that rarely uses S30V steel in its blade but decided to use the premium steel in its second iteration of W.C. Davis’ hunting knife. 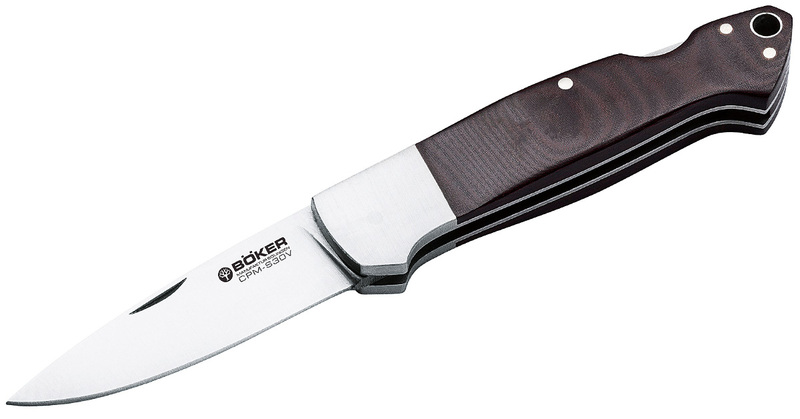 The Boker Davis Hunter II is a smaller version of the original, which has N690 steel. This gentleman’s folder and EDC has a 2.63-inch blade that opens via a nail nick and locks into place with a back lock mechanism. The classic handles are polished burgundy Micarta that pop with the steel bolster. It’s on the higher end of the cost spectrum, but it’s a knife you can carry with you anywhere. 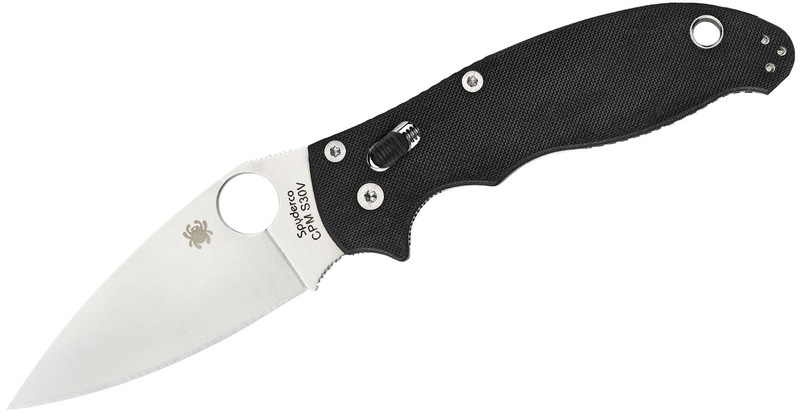 Other Spyderco designs could have made it on the list, but I decided to go with the Manix 2. The knife is Spyderco at its best. It looks like your typical Spydie model, but it boasts some cool innovations and a streamline design. Its S30V steel blade is 3.37 inches and features the dependable leaf-shaped blade along with jimping on the spine and finger chili to choke up on the knife for finer tasks. The knife stays engaged with the Ball Bearing Lock that uses a hardened steel ball inside a cage to keep the blade from closing. It’s a simple mechanism that’s one of the best on the market. Other traits like the G-10 handle scales, full stainless steel liners and back spacer and two-position tip-up pocket clip make this the complete package. The Benchmade Freek is a 2017 knife from Benchmade that has already garnered a fair amount of acclaim for its reliable design and quality materials. The EDC knife is often compared to the Griptilian with a few changes for the better, including S30V steel and dual durometer handles (Grivory and Versaflex handles). 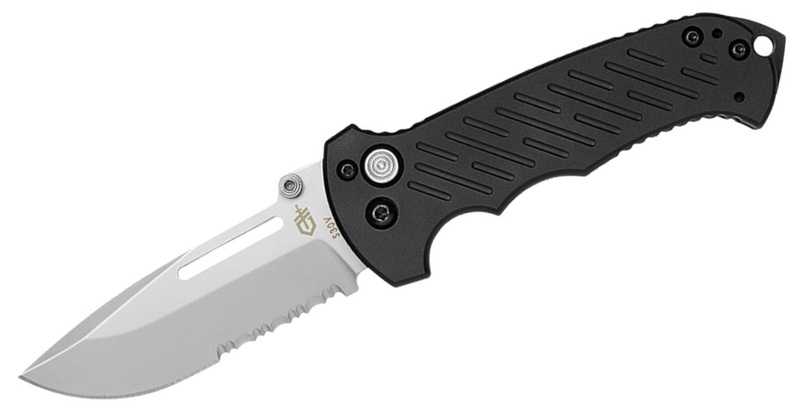 It’s still pretty early on, but I can imagine the Freek rivaling the Griptilian as the company’s flagship model, especially if it gets the Mini treatment in the future. Gerber developed a rocky reputation after a number of recalls and criticisms levied against the brand caused it to fall out of favor with knife enthusiasts. The company took a step in the right direction with an updated version of its flagship Gator models. 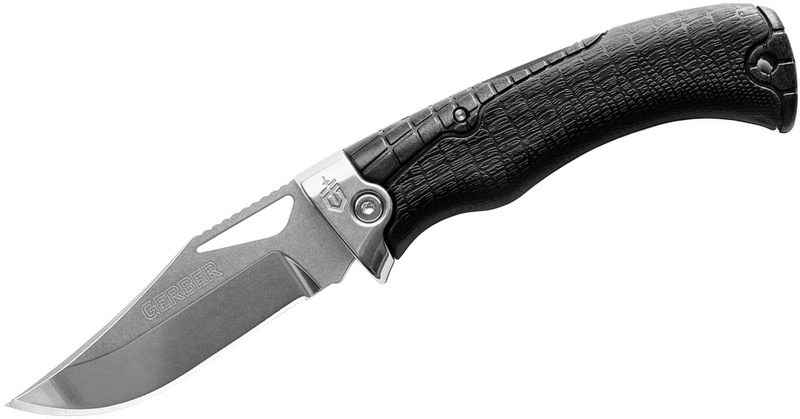 The Gerber Gator Premium has a 3.6-inch blade made from S30V steel and the rubberized handle with the pattern resembling gator skin. Overall, the knife was well-received as a solid American folder that helped Gerber return to form. What’s with all the holes and slots in the blades these days? A simple thumb stud does reduce the torqueing and bending strength, but not, I think, as much as these long slots, big holes, etc. The only advantage I see is — nothing. Material and time and labor wasted does not help maintain or lower the cost of the product, or make it better. The stud, being solid, does contribute to the multidirectional strengths of the blade. Or am I just an old fuddy duddy? I have a bar of 1/4 x 2 x 36 of S30 V, and the 3″ wide x1/4 mx 36 S30VN waiting to be made into knives. But first, I have to collect all of the natural horn. mammoth, and mastodon pieces for the scales, and naval bronze for guards. A hole doesn’t get in the way of the cutting path like a thumb stud sometimes does. I TOTALLY AGREE! USELESS (AND UGLY) HOLES WEAKENING THE BLADES! Buck’s 110 in S30V is also a nice option from their custom shop. Do y’all make a 110 Buck s30v steel with stag handles? If so what’s the price? Yeah they do, I’ve seen it in there CUSTOM area on there website. Believe the last I looked it was over $100. Going to go check it out now, I’m interested in getting 1 myself. By using lighter Scales and doing away with flipper weight would re Duce weight while maintaining strength. Drilling Holes or punching good Steel seems such a waste of material .